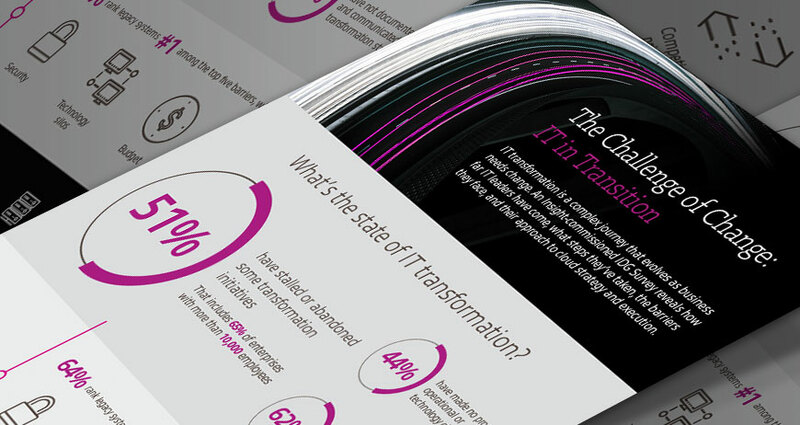 51% of organizations have stalled or abandoned some IT transformation initiatives. For IT leaders, making progress is challenging — but falling behind can be risky. Modernizing IT infrastructure, skills, and processes are essential for achieving business goals. But, transformation is more of a journey than a quick fix. 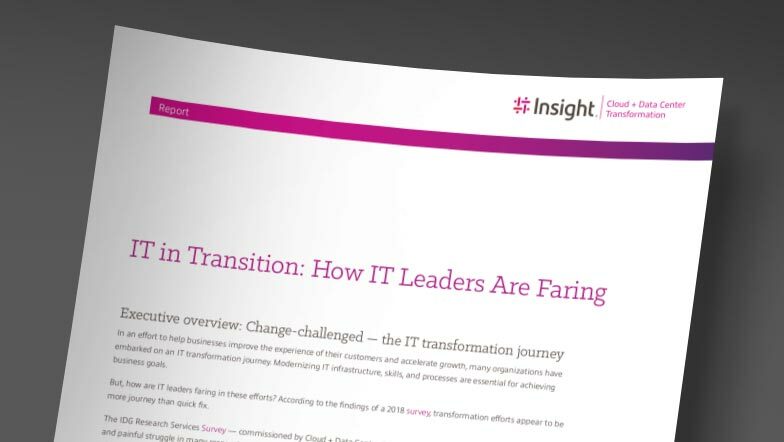 In a new Insight-commissioned IDG Research survey, we find that many IT leaders are struggling in their efforts toward IT transformation. Common challenges include cloud strategy and execution, workload decisions, and competing priorities. But, some reported promise and healthy progress. Find out how IT leaders are faring with the documents provided below. See the complete survey, questions and answers. View the infographic, a shareable roundup of key insights. Read the report, a deeper dive into the results and implications.